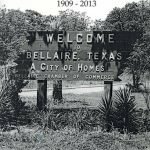 Bellaire survived its transit into the 21st century and entered its centennial year with escalated activity, higher property values, history altering changes and huge budgets compared to its country village beginnings in 1908. This century has seen President George Bush elected. The 9-11-01 attacks on the twin World Trade Towers and the ongoing Iraq War. Texas was dominated by Republicans in the Texas Legislature and in Harris County. Now we are at the eve of potential changes with the November 2008 elections to come. 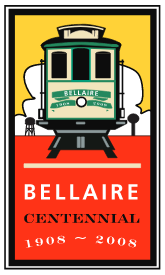 Management in Bellaire changed in 2000 with the exit of City Manager John Pape (1996-2000) and the employment of Bernie Satterwhite (2000-current) who was provided a $150,000 interest free loan to enable him to live in Bellaire, gradually being repaid monthly. After his first three years, a new Reappointment Employment Agreement was presented by Mr. Satterwhite for City Council approval that guaranteed him a base salary of $120,880, a monthly 10% placed into an “accrued pay” fund, payable in lump sum at his departure if he does not resign before November 30, 2008, and 5% per month of gross pay to a designated qualified deferred compensation fund, along with other customary benefits. We hired a CEO for the first time modeled along 21st century corporate custom. Discussion of this Reappointment Agreement will likely be discussed before its termination at year’s end. The City saw new departments and personnel – an information technology director, a return to an assistant city manager, a facilities director, replaced a community development director twice since 2004 and a third yet to be hired. Parks programs grew as did its staff. Technology was advanced and the Internet became host for a city web site to disseminate public information – reducing the paper exchange by citizens’ requests for public information. Our code of ordinances is now codified routinely and accessible on the city’s website. More information for more transparency of the municipality’s operations and personnel. Schools changed with modifications to Bellaire High School, Horn and Condit elementary schools. Bellaire High School received a parking permit program by the City for street parking and any eminent domain by H.I.S.D. was strongly opposed. Condit Elementary was supported by the City for its expansion when the City abandoned the 5200 block of Laurel Street at no cost to H.I.S.D. for a faculty parking lot, usable by citizens on non-school days, and a new playing field. Pin Oak Middle School was built at Loop 610 at Avenue B following specific use zoning public hearings. Yet to come will be a Horn Elementary replacement, recently approved by the school district. 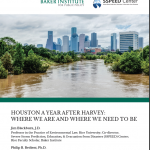 Weather was as unpredictable as ever with Tropical Storm Allison dumping 17 inches of water in various locations in the County and causing Bellaire to flood from Southdale to the west side. This triggered review of drainage, FEMA regulations. New City drainage regulations were adopted. Home construction is now limited to pier and beam and a no-net fill residential requirement. However, commercial zoning districts have no such regulations. Hurricanes Katrina and Rita aimed our way but missed us. We all learned a great deal about weather’s impacts. 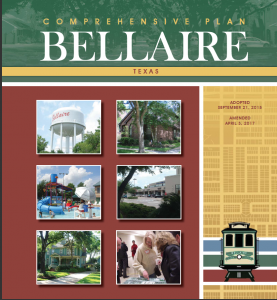 Bond programs continued with $45 million for Bellaire Municipal Renewal Program (BMRP); for streets, water, sanitary sewer and drainage improvements, followed by another $50 million for Rebuild Bellaire (RB), authorized for public facilities replacement or expansion, streets and drainage and the Aquatics Center. Loop 610 was “improved” under a shared agreement with TXDOT. It now holds more storm runoff than it did when built in the 1960s and Bellaire asked for and maintains watering the new landscaping adjacent to it. We gave up entry and exit ramps at Evergreen and reversed the Fournace exit to an entry ramp. However, traffic has not been nor is intended to be reduced. Streets have been reconstructed with new drainage and sidewalks or improved with asphalt topping. City Hall’s building cave-ins were alleviated with a new underground injection method (for a time) and the Fire Station will be rebuilt in the next few years. The Library, Police Department, Courts and City Hall are also on schedule for improvements. The 4500-4600 blocks of Maple Street petitioned and paid for speed humps to slow down traffic. The 4500 block of Evergreen received new street and sidewalks, as did Avenue B south of the Boulevard and Ferris on the west. Sidewalk policies changed from required inclusion with construction for new home construction to only City-financed sidewalks so we now have better existing sidewalks, less gaps, but are still lacking such safety measures in many neighborhoods as well as along some sections of major arterials. Sidewalk plans still bring out crowds when a neighborhood is scheduled to receive them and passionate support or opposition. Finance is obtained by Bellaire from general obligation tax-funded bonds, local property taxes, H-GAC, METRO, Harris County, TXDOT, Texas Parks and Wildlife, FEMA, County criminal agencies, Homeland Security, Patrons for Bellaire Parks, private donations from numerous foundations, and bequests and donations from citizens. We always ask for more dollars so that we can get what we seem to want faster. The public votes to authorize the dollars but not the plans or projects. We sometimes change our mind about money. An example was when City Council passed a resolution in 2005 asking Harris County for financial assistance to build a new Aquatics Facility. Harris County’s Pct. 3 Commissioner Radack came through once again with a generous $250,000 for the pools and Council passed an ordinance accepting it. However, by 2006, some of our Parks Advisory Board members and some citizens decided the new pools should not be open to all residents of Harris County without a higher fee for admittance and so lobbied their Councilors. Accordingly, City Council adopted yet another ordinance in 2006 repealing the earlier one that had accepted the County’s grant. The City decided to pay for the new Aquatics Facility through taxes, bonds and donations by its officially recognized 501(c)(3) tax-exempt local agency to assist in fund-raising, named The Patrons for Bellaire Parks. The Patrons raised $1 million, a quarter of it from a challenge grant by the Wortham Foundation. Patrons is now again challenged to raise an annual quarter million this and subsequent years to pay off pool and park improvements. Our parks improvements are regular maintenance items in the City budget. The old (1947) Bellaire Park was renamed to Bellaire-Zindler Park. It is located within the newly named area of Bellaire Town Square, also containing the new Aquatics Facility of three pools and a community meeting room above a new pool house. The costs for the Aquatics Facilities exceed $6 million since the plans were begun back in 2003 and the Bellaire Town Square playground, pavilion, drainage and landscaping have been currently estimated at another $2.8 million. The Elaine Wood Therapy Pool over at Evergreen Park was named after its founder with money raised mostly by citizens. There is a new Officer Lucy Dog Park, over at Lafayette Park on the east side of town, complete with art and rules and regulations for the pooches and their owners. Nature Discovery Center, now twenty years old, continues to thrive with innovation and education in Russ Pitman Park, a protected quiet place in our midst. We finished buying homes along 5100 Laurel Street (5108-the Bates home and 5126-the Swepston home) and the land is now part of a dedicated “passive, open space park.” That ordinance creating this special park was negotiated back in the early 1990s after struggles between groups of citizens, pro and con, and renamed as Loftin Park after the former Police Chief Jerry Loftin and his wife, the then Bellaire City Clerk Roena Loftin. The City further abandoned the 5100 block of Laurel Street right-of-way to help shoehorn in the new Aquatics Facilities. The old parking lot adjacent to Bellaire Park was also partly demolished. Parking demands certainly strain the provision and spill into neighborhoods, much like Bellaire High School and other areas. Episcopal High School is seeking to expand its campus to include replacement buildings and a new parking garage, to diminish its impact on surrounding neighborhoods, and to allow a six story limit along the Loop for schools. If passed (Council public hearing scheduled for August 26) schools such as Pin Oak Montessori would be subject to specific use amendment public hearings. A City Council public hearing will be held this month on these proposed changes for EHS. Other changes during this period include a Charter review ordered by City Council and 26 mostly “clean-up” changes were authorized for election. All 26 of the non-controversial changes selected were approved by the voters. A newly permitted and approved Railroad Crossing Quiet Zone for our eastern border to reduce noisy train horns. We accepted a grant for $10,000 to partially pay for an Urban Forester – first time ever. 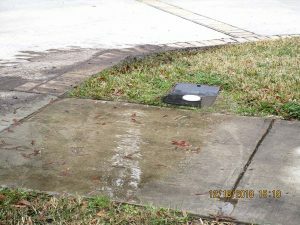 We contracted with Harris County to assess and collect our property taxes, eliminating that position from staff. 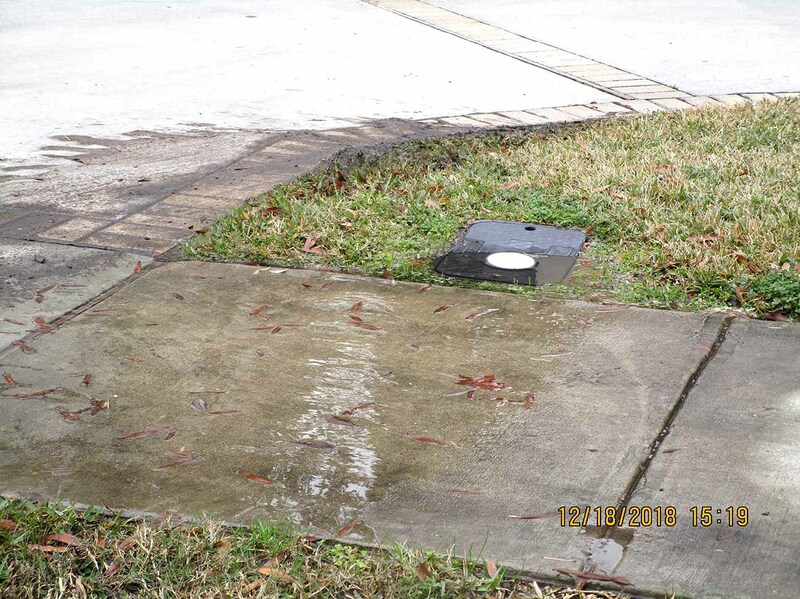 A Surface Water Conversion project resulted in 50% of Houston provided water to reduce well water withdrawal. 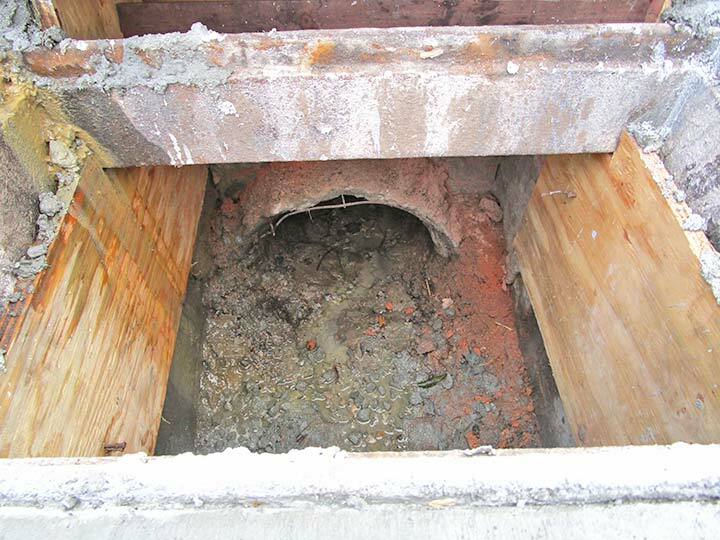 A $52,000 utility study produced increased water, sewer and garbage fees. But this year the Council also increased tax exemptions for the Over-65 and Disabled from $90,000/$20,000 to a uniform $120,000. 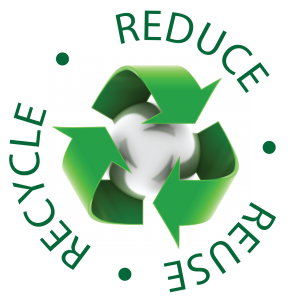 Curbside recycling was welcomed by many citizens while private garbage outsourcing was strongly rejected. It continues with fervor in its efforts to support reduction of trash. The newly created Arts Commission is in its fifth year has been down a rocky path but seems to be gaining in public acceptance and a variety of projects. These include art-benches, a BelleArtz exhibition by local and area adults and kids (October 25), architectural enhancements for new public buildings, a Self-Guided Tour of an elegantly marked History Walk through Paseo Park (Esplanade) later this year, and donated sculptures such as the “Sunrise, Sunset” by Cindy Cozewith. Where are we? We have arrived at our Centennial year 2008 marking all of these changes, a remaining land-locked status, still a City of Homes but with new and unknown population values, and a yet to be decided “identity” to be determined in a new Land Use Comprehensive Plan. Our Centennial history has much to celebrate, honor and learn from. All Chapters are listed under Bellaire History on the main menu.